GoBatery ensures that wherever you are, a charge follows. Our powerful and affordable all-in-one charging solution brings the future to you. GoBatery forecasts that every home will be powered by a battery system within the next 10 to 15 years. With our innovative technology, you will have the world’s lightest-weight, smallest, longest-life, safest, most powerful, modular, portable, and affordable lithium battery system on the market. 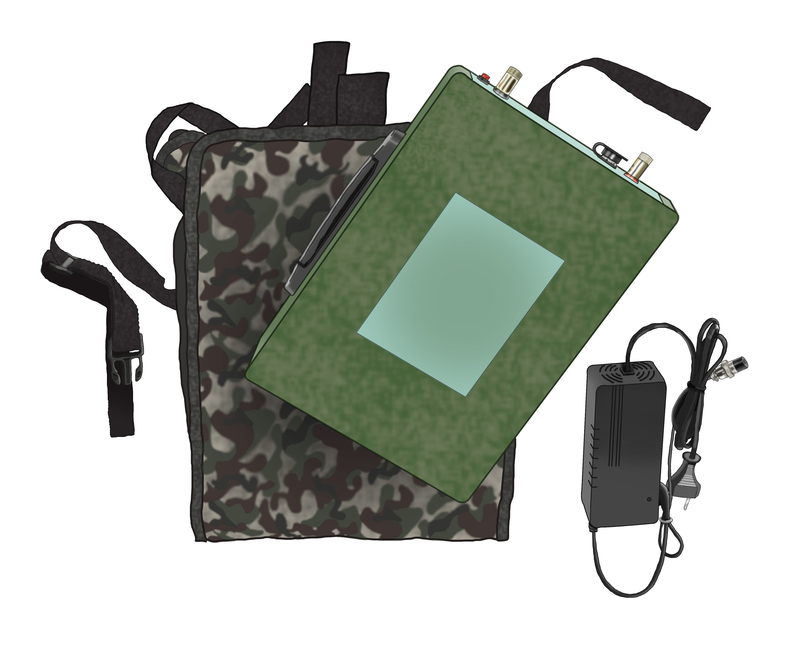 • Designed for the Military, Ultra-Small, Rugged and Modular. • Lightest Weight 12v Battery, at just 1/8th the weight of a similar power 12v car battery. • Smallest 12v Battery, 75% smaller then a similar standard 12v lead-acid battery. • With over 5 times the Power and Life of a 12v AMG Solar battery - with 100% Depth of Discharge (DOD) ability and more than 2,500 cycles or 10+ years of service life. • The Most advanced NMC Lithium Cells with Safety-First Design. Testing Includes Drop-Safe, Vibration-Safe, Fire-Safe, Puncture-Safe, Splash/Rain-Safe, Explosion-Safe. • Built-in Smart Chip (BMS) battery maintenance system. 7-Safety Protections: Over-Charge, Under-Voltage, Over-Voltage, Short-Circuit, Over-Discharge, Over-Temperature, Over-Power. • Provides plug-and-play (PnP) functionality. • USB Port: on most models for direct plug-n-play charging of small electronics such as mobile phones, small computers, cameras, up to 5V-2.1amp DC Power on demand. • All Models come with a Quick AC Wall-Charger, for on-the-go power needs. • All Models have a Digital LED Push Button Power Meter. • Some models include a Car-Lighter DC Port for direct plug-n-play with electronics or mini AC power inverters, 12-volt - 20amp up to 240 watts DC. • 99% compatible with all applications including Solar, Home Power Backup, Camping, Crypto-Mining, Cars, RV’ing, EV’s, RC’s, and virtually any mobile application. • Allows Multi-Battery configurations for custom 12v, 24v 36v, and 48v applications. • Can be stacked in Series up to 48v, and Parallel up to 8 batteries safely (20kW Systems). • Mega Power Output Abilities; with well over 1C discharge, and 50amp charge rates. • Designed in USA, with components sourced from Japan, Germany, China and USA. • Assembled and Safety Tested in China at our state of the art workshop. • This allows you to save serious money, and makes the cost of advanced Lithium-Polymer an affordable alternative for everyone. • Go Battery has created the most reliable, safest, and affordable Lithium in North America. • Wall Charge at night when electric costs are low, and use Go Battery to power your needs when electric rates are highest during peak hours in the daytime. • Or charge in the day with solar panels and use at night when the sun goes down. Why is Go Battery the World’s Most Powerful, Light-Weight, Smallest, Longest-Life, Safest and Affordable Lithium Battery System on the Market ? •(LMO) : Lithium Manganese Oxide – cheaper, non-toxic and can have enhanced safety, but cycle life and calendar life are limited. Customers want long-life batteries - LiMn2O4.  Go Battery takes the best from each of these Lithium technologies and combines (Nickel, Manganese, Cobalt) together to create its advanced NMC Lithium Cells. The combination of these three together also prevent all the negative effects of the others. Creating some of the highest power, lightest weight, longest life, safest and affordable batteries ever produced. With higher power than LFP batteries, higher output and longer life than LCO batteries, and greater safety, lower weight and cost over NCA batteries (used in Tesla’s Gigawatt Factory, the world’s largest battery bank), GoBatery can and will power almost any need you might have. We add several additional features never before seen on a battery like this. First: is our 7-Functuion Safety-First BMS (battery maintenance system) Smart Chip. We added a simple AC Wall-Charger so you can charge your battery anytime, anywhere. We added a LED Power Meter, so you instantly know the batteries remaining power. We added USB Power Ports so you can power small devices on the go. Then we wrapped it all in a ABS Military Carry Case. We are proud to say our batteries are the Smallest, Lightest-Weight, Safest, most Versatile, most Powerful, Portable, and Affordable Lithium-Ion Batteries in North America and Europe. They are so small and powerful, you can connect just 4 of our 12v-200Ah (2.5kW) Mobile Military Batteries and make a 10kW (10,050-watt) GoBatery Bank in under two minutes, and it can be configured as a 12v, 24v, 48v system. Imagine, a 10kW battery you can carry, weighing just 60-pounds, and measuring just 10 x 11 x 12 inches (the size and weight of one standard 12v car battery.) For Comparison; you would need 8 – 16 deep cycle solar car batteries (448-lbs to 896-lbs) to equal this power, but more importantly, you can only use roughly 25% of that deep cycle AMG solar battery power, or you can and will damage them due their design-chemistry. Go Battery 10kW is a “true usable 10,050 watts”, that will run for well over 10 years. To build an equivalent solar battery bank using AMG Solar Lead Acid Batteries with “10,000-usable-watts”, you would actually need 32 to 64 deep cycle AMG solar batteries weighing 1,792-lbs to 3,584 pounds, the size of a Golf-Cart or VW-Beetle, and with the greatest of care, you may be able to make them last 3 – 7 years. They would conservatively cost $4,800 to $9,600. Plus, they are toxic, can vent poison and flammable gases, and need to be maintained. In comparison, just four of our small, lightweight (14.5lbs), long-life, portable batteries will cost $3,679 USD, and can possibly power your needs for decades with proper use, without any maintenance, toxic fumes, or acids. • Powerwall Install is permanent, highly complex, bolted to your house, home use only. • Go Battery Pack is Mobile, pull one 2.5kW (15-lbs) battery pack out, take it outdoors and traveling. You can power over 250-smart phones (more than 6 months of power), 35-laptops, run a 40” LED TV for over 3 days, or a 7.1cu.ft. freezer for over 5 days, all while our other four batteries continue to power your home with over 10kW’s of power. Use the direct charge USB ports on your Go Battery, or the 12v Car-Lighter Adapter Port to power 240-watts. Need to jump start your car, or power your RV for the weekend, just one 200Ah Pack will handle all of these needs. Need more power, take two packs (5kW) held in your hands, imagine that! Additionally, all GoBatery packs come with a 110v – 220v wall charger you can use to recharge our Mobile Military Battery Packs at home, or on the go, or at night when energy cost is cheapest. The benefits are clear and obvious! And this is why we say GoBatery is The World’s Most Powerful, Light-Weight, Smallest, Longest-Life, Safest, Versatile, Portable, and Affordable Lithium Battery System on the European and US Markets. Need a Large 10-Kilowatt Battery, or a Larger 20-Kilowatt Battery Bank to Power Your Home ? In 2016, the average annual electricity consumption for a U.S. residential utility customer was roughly 29kWh per/day, or roughly 1000-watts used every hour, give or take a few hundred watts throughout peak use hours. Have you ever thought about charging a large battery during night hours when energy is cheap, and then use it during the day on peak hours when it is more expensive? Do you need a large battery bank to offset some of your power bills? Do you need to collect the energy you produce from your solar panels, wind, or gas generator? Need a high power, light-weight, small, portable battery anyone can carry? No problem, Mr. GoBattery has a solution for you! You can make a 10kW GoBatery Bank in under 2 minutes. At just under 60-pounds, 10 inches-high, 10 inches-wide, and 12 inches-deep (the size and weight of one standard 12v car battery), you can build a 10kW (10,050 watt) battery using just four of our 12v-200Ah (2.5kW) Mobile Military Batteries. You can configure your 10kW system to be a 12v 800Ah bank, a 24v 400Ah bank, or a 48v 200Ah system. Buy 2 – 4 batteries and get 5% off your purchase automatically. Please Note, this is an “actual usable 10kW of power”, unlike with a 10kW AMG Solar batteries. The major difference with a 10kW Lithium GoBatery vs. a traditional lead acid battery, or deep cycle AMG solar battery system, is that you can actually use 100% of the 10kW stored in your Go Battery if you need, without damaging the battery. Whereas with traditional lead acid batteries, or deep cycle AMG batteries, you can only use about 20% of the 10kW = or 2kW (2000watts). If you use more than that, you will permanently damage your lead acid batteries. This means that if you use just ONE of our 12v-200Ah batteries, it will provide you with more “available / usable” power (2.5kW) or 2,550-watts, of which you can use 100% of without damaging the battery. You can also charge and discharge your GoBatery 10kW much faster, it will power 5 times more than solar AMG batteries, and last 10+ years longer then SLA or AMG. Need a 20kW (20,100 watt) system ? No problem. Buy 5 - 8 batteries and save 8% off your total cost. At just under 120-pounds, 10 inches-high, 10 inches-wide, and 23 inches-deep (the size and weight of one standard 12v-200Ah truck battery), you can build a 20kW (20,100 watt) battery using just eight of our 12v-200Ah (2.5kW) Mobile Military Batteries. You can configure your 20kW system to be a 12v 1600Ah bank, a 24v 800Ah bank, or a 48v 400Ah system. A more affordable solution can be configured using our 12v – 160Ah Flat Style Case Battery. They are about 10% larger in size, they lay flat, stack nicely, and cost a few cents less per/watt. PLEASE NOTE : We have not tested any larger battery banks then this, so at this time we do not recommend building a bank larger then 5kW - 10kW – 20kW’s. Subscribe to get GoBatery news and product specials delivered to your inbox!